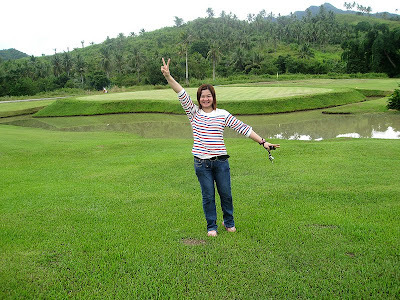 Visit San Juanico Golf Hotel in Tacloban, Leyte! 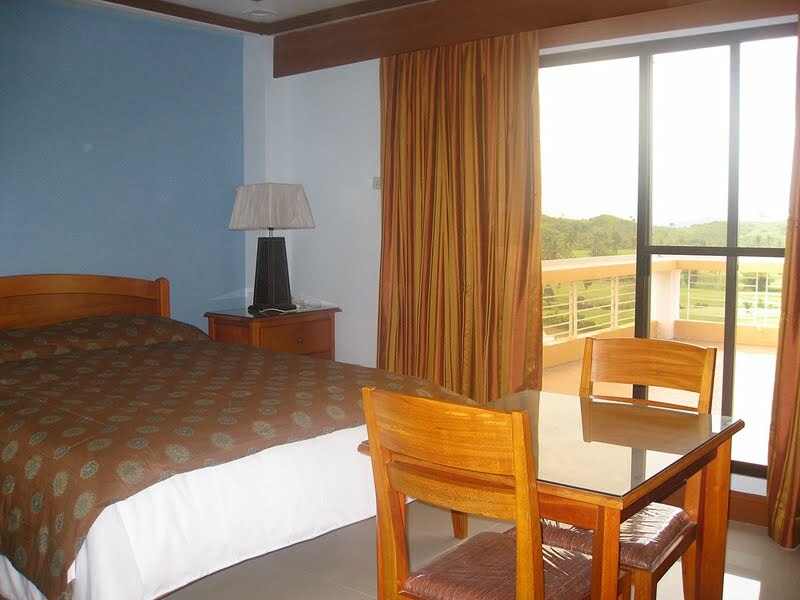 When touring Leyte and on a vacation to Tacloban City, visit the majestic San Juanico Golf Hotel. 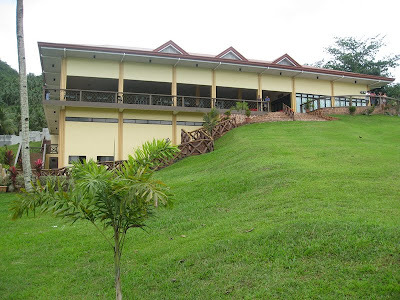 It's a 30-room hotel with breathtaking views of verdant, rolling hills and the engineering marvel that is San Juanico Bridge, a historical landmark that boasts of its new golf course, The San Juanico Park, Golf and Country Club. 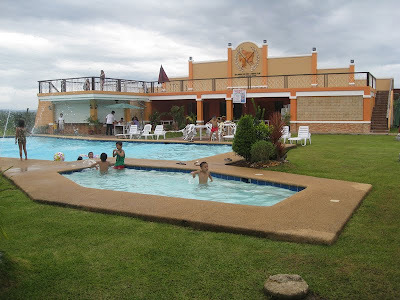 San Juanico Golf Hotel is located in Brgy. 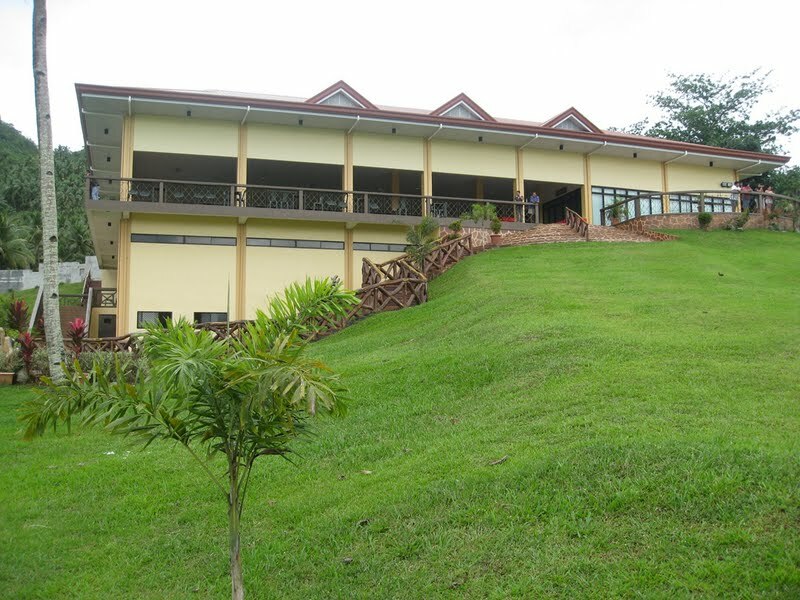 Camansihay(just 10km from the capital Tacloban City), the new hotel inside San Juanico Park, Golf and Country Club with amenities like an international restaurant, a swimming pool and an 18-hole golf course. "The hotel has 30 units, which is ideal for our concept of a cozy, homey atmosphere for our guest. At this point, we'd still like to avoid a crowded feeling. With a controlled number of stay-in guests, it's more likely for them to savor the lovely, expansive views and to feel relaxed and carefree, with lots of elbow room to spare," says Mimi Acacio, President of San Juanico Golf Hotel. Architect Ed Cumpio designed the hotel focusing on giving guests every chance to feel relaxed and refreshed with terraces that descend in a cascade. 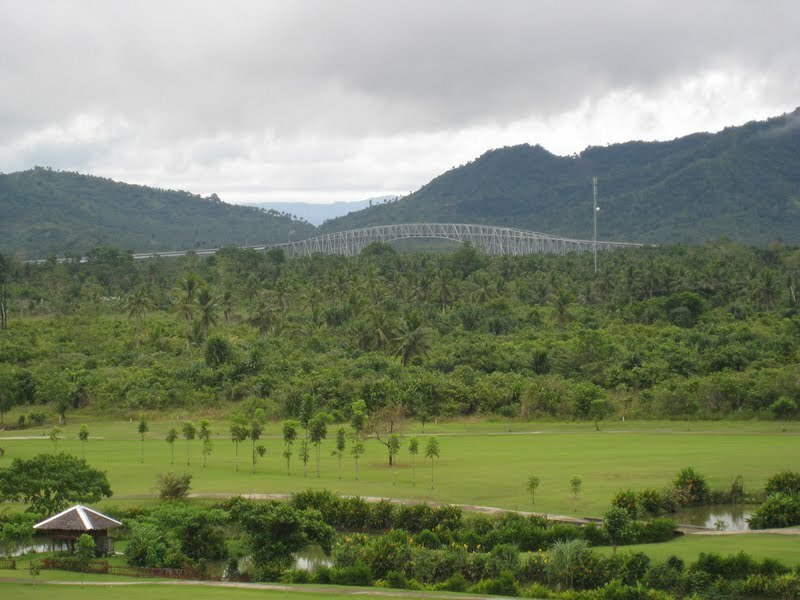 As a result, occupants of each unit- from the top to the lower levels are able to have an obstructed, panoramic view of the landscaped golf course, the green hills, and the famous San Juanico Bridge. that spans two kilometers across the strait between Samar and Leyte islands. "The feeling of being in such a beautiful, expansive, relaxing place surrounded by greenery, with clear skies and the view of the panoramic landscape that opens toward the huge bridge is a great stress reliever. You simply feel that you've left your cares behind and you have all the time for yourself and your loved ones," said Liza Cahilig, who provided the customized beddings, accessories and drapes. Ms. Liza Cahilig's inspiration from customizing beddings and drapes for the hotel was the majestic view of the San Juanico Park Golf and Country Club. "The very first word in my mind was 'paradise'. The whole place is a showcase of natural beauty and human landscaping art. For the new hotel, I made sure that the drapes and beddings were customized for comfort and aesthetics that were functional and in good taste, without being gaudy," Cahilig explained. Acacio commended Cahilig for a wonderful job with the drapes, beddings and beddings accessories; "My concept was to create rooms that are relaxing, cozy and homey. Liza's drapes, beddings and accessories helped me achieve the look and ambiance I wanted. The hotel rooms are comfortable and relaxing for those who want to rest and have some quiet, recharging privacy." "At the same time, I don't want guests to remain inside the rooms all day! There's so much relaxing, soul-nourishing beauty outside that they simply must go out, at least in the terraces where the views are spectacular,"Acacio added. Guests and members of the San Juanico Park, Golf and Country Club may want the convenience of overnight (or several nights) accommodations to avoid the hassle of going to the golf course and back outside Brgy. Camansihay. For Victor Domingo, the President of the San Juanico Park, Golf and Country Club, the new hotel is an important destination to make their place even more attractive to members, potential members, golf enthusiasts and visitors. Other amenities include a spacious and comfy restaurant that serves delicious and mouth-watering local and international cuisine. 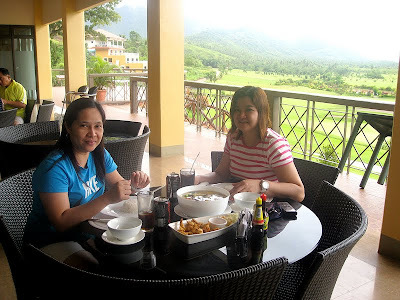 Stay-in guests are also treated to free breakfast at the restaurant upon availing of an accommodation in the hotel. The swimming pool facility consists of an adult and a kids pool - making the golf and country club a perfect place for family bonding. For more information about the San Juanico Golf Hotel, please go to http://sanjuanicogolf.ph or call Sherwin Cabarse at 0926-8565954 begin_of_the_skype_highlighting 0926-8565954 end_of_the_skype_highlighting for inquiries and booking information.